Wood-based panels for furniture ar formatted by sliding table saws or beamsaws and then transported to the edgebander or edge processing line. This is done with the help of transportation carts or transport tracks. During the storage and transport, damages may occur to the edge. Jointing trimming units are used to eliminate this damages. 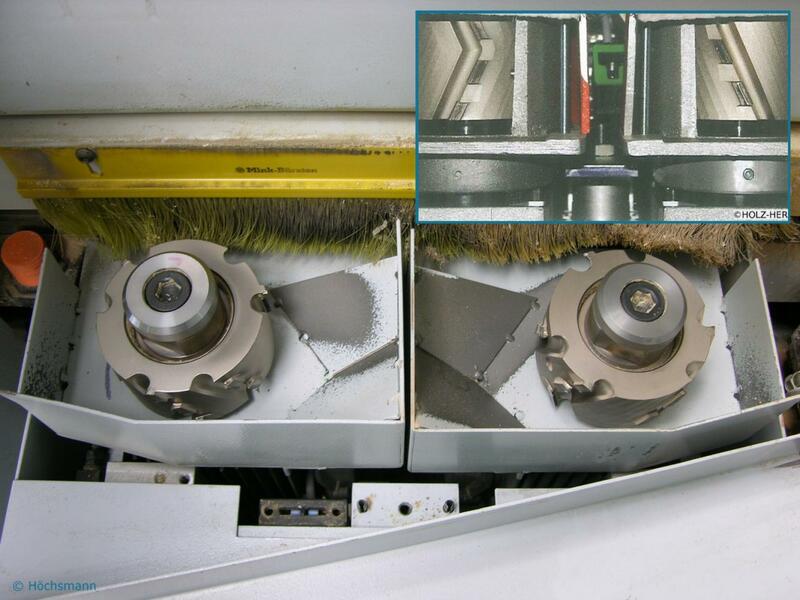 Even smaller machines are equipped more and more with jointing cutter for that reason. Jointing cutter usually consist of 2 to each other in opposite directions (up-cut) rotating spindles, which are preferably equipped with diamond-cutting tools. The first spindle is the workpiece towards the opposite direction. This spindle mills only a small piece of the workpiece edge and moves away from it, to avoid an avulsion at the end of the workpiece edge. 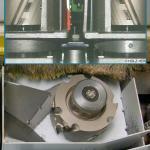 The second spindle rotates to the workpiece same direction and cuts the edge planar to the end. 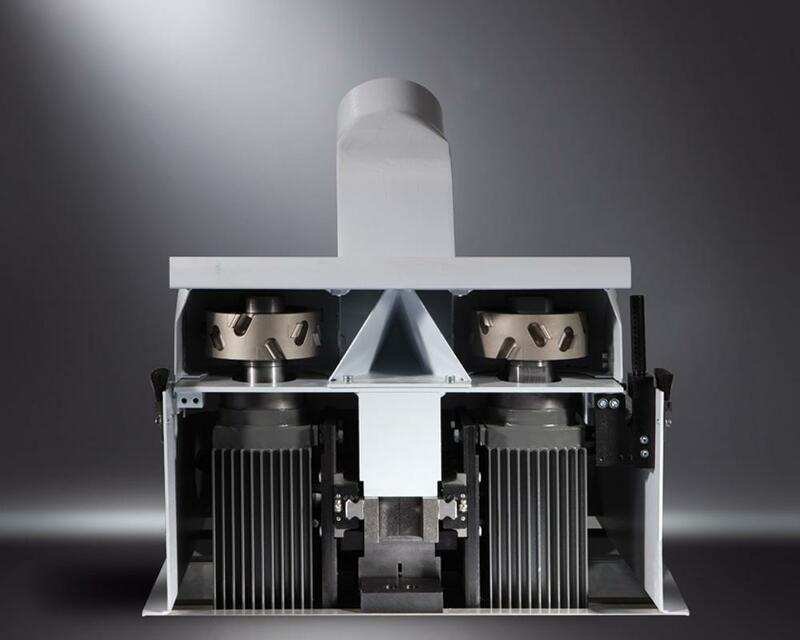 Pre-milling - machines when equipped with some manufacturers have a Jointing cutter type in their names a 'V'. Not to be confused with flush milling What is sometimes also labeled as such.